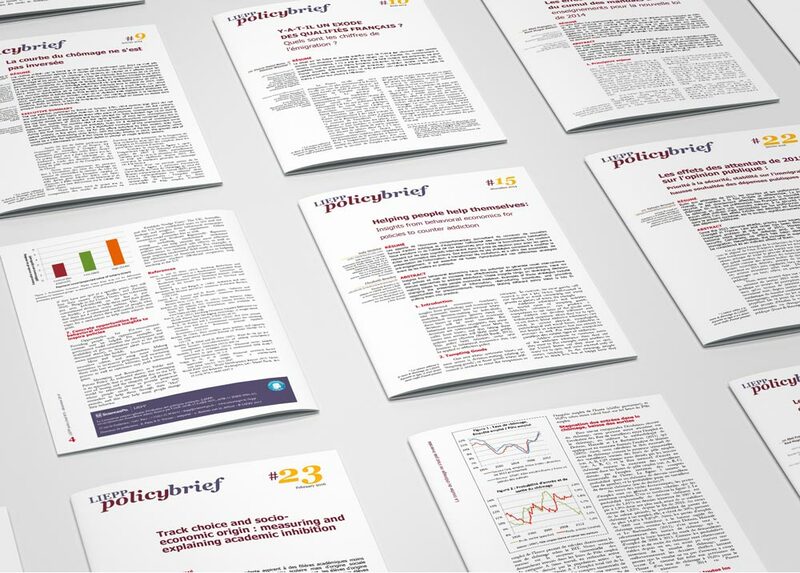 Original layout for the LIEPP Policy briefs and design of the 23 first issues. One of the biggest challenge with this kind of bound print is to fit the text and the charts with a page count that is a multiple of 4. Indeed, such publications are created by printing four pages on one sheet of paper and then folding that sheet in half. Therefore, the number of pages has to be a multiple of 4 and the text cannot stop in between.